I’m no art expert, but anyone can see the beauty in these gorgeous prints by Melbourne illustrator Simone Downey. 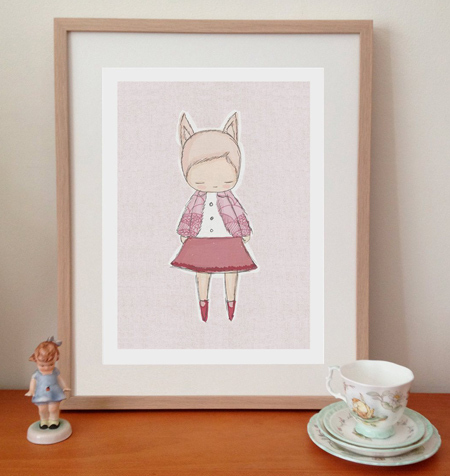 Under her Nomuu label, Simone creates contemporary children’s illustrations using cute characters that are part-child, part-animal. There’s fox girls and bear boys, and bunny best friends. 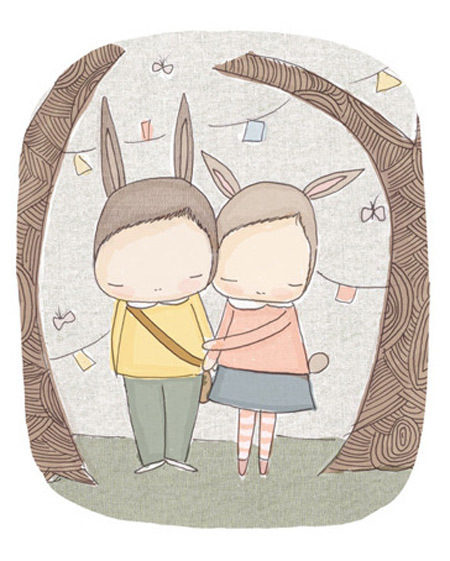 There are so many whimsical prints to chose from, it’s hard to narrow down a favourite. 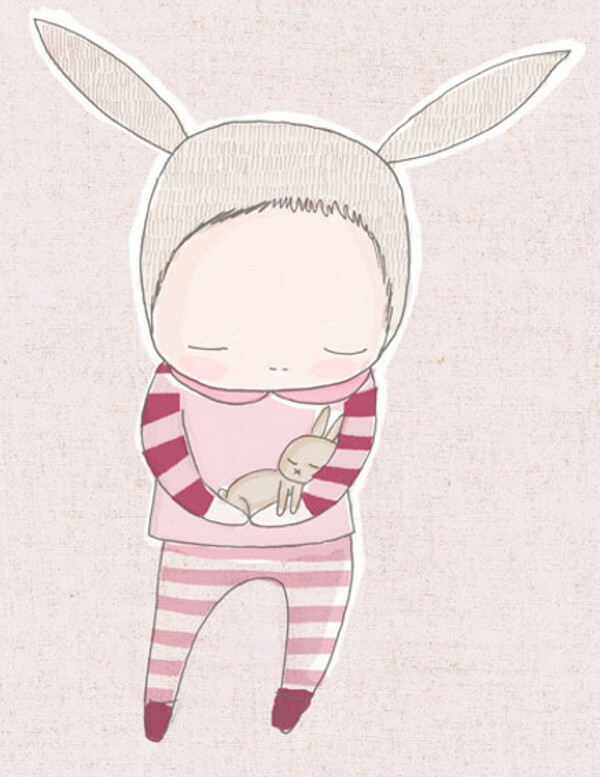 But with its stripy pinks and sleepy feel, I especially like Baby Bunny Cuddles. It would make for a treasured present for a newborn baby girl. 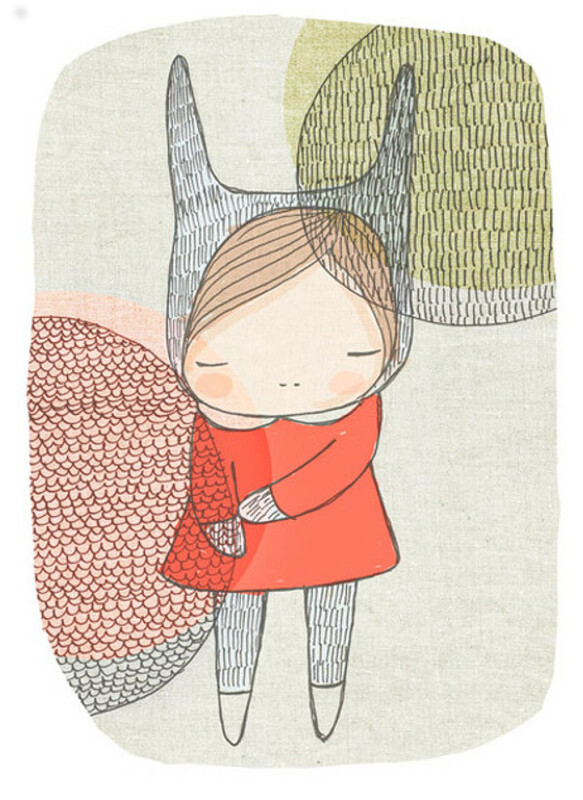 Brighter colours can be found in prints such as Bunny Girl with Red and Green Circles, which is Nomuu’s most popular print. This artwork looks so sweet when framed. And no need to worry about matching Nomuu prints to nursery decoration themes – they all feature gentle tones suited to any palette. 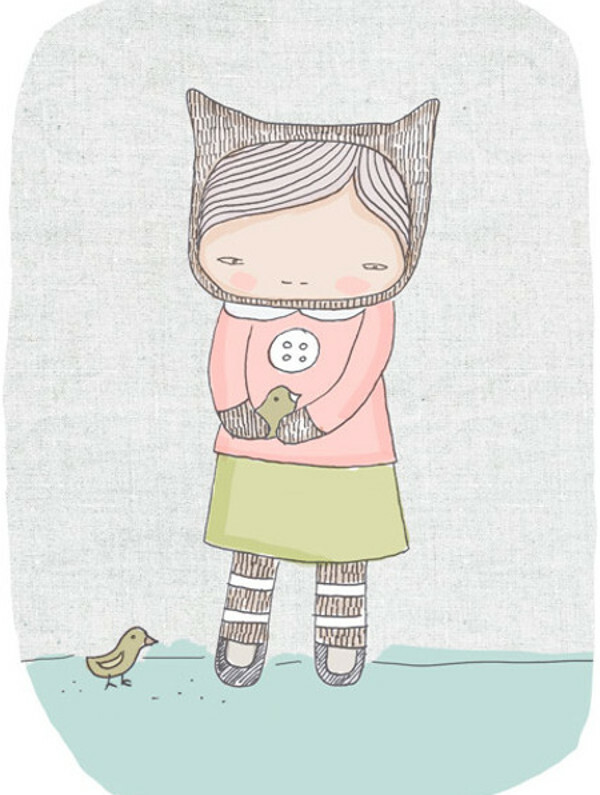 Nomuu’s playful illustrations can also be found on a large range of greeting cards, starting at $5. Pack discounts are available at $12 for three and $23 for six. The A4 prints sell for $20 and $36 for A3 prints. Nomuu ships Australia-wide and internationally. Discounts are also available when purchasing multiple prints. Currently any three prints can be bought for $50. Nice!